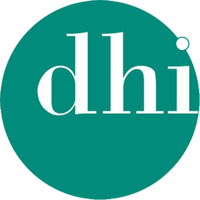 The Door and Hardware Institute (DHI) is the only professional association dedicated to the Architectural Openings Industry. With the purpose of advancing life safety and security within the built environment, DHI represents the North American openings marketplace as the advocate and primary resource for information, professional development and certification. With the focus on our members, DHI strives to be the indispensable resource for industry trends, best business practices and advanced education. DHI remains a powerful advocate for creating a favorable code environment in the life safety and security industry. The Builders Hardware Manufacturers Association (BHMA) is the trade association for North American manufacturers of commercial builders hardware. BHMA is involved in standards, code and life safety regulations and other activities that specifically impact builders hardware. The National Glass Association is the largest and most influential trade association serving the architectural glass, automotive glass, and window and door industries. The NGA represents nearly 2,200 member companies and produces the industry's leading events and publications.